I was never athletic although I tried hard, playing volleyball and softball throughout my school career. I literally walked off the graduation stage and into a state EMT test where I received my EMT Basic certification. I spent the next 12 years working in emergency medicine as an EMT Intermediate, with the last 6 years as a member of the Grand Junction Fire Department. In 2007 my life changed drastically, as we were able to adopt 3 children and have a child of our own within the course of that year. I was introduced to CF in 2008 when I was fighting an uphill battle to lose the unwanted baby weight I had amassed! I immediately fell in love with the results, the competition, and the amazing community CrossFit had to offer. I came to CrossFit Junction in 2011 and have been privileged to be able to see first hand what a life changing adventure CF has been for its members. In 2012 I transitioned from my dream of working in EMS to living a new dream as one of the owners of CrossFit Junction. I have seen people at their worst and I know how important it is to put the time into ourselves today so that we can avoid the negative impacts of poor decisions later in life. I also know that helping people change their lives physically can do wonders to help people change their lives mentally. From August of 2000 to December 2001 I attended Mesa State College to complete my teaching certification program for Secondary Science. During this time I worked as a Graduate Assistant coach for the Football Program. After completing my teaching certification I worked as a math and science teacher at Delta High School for 2 years where I coached Football and Track & Field. During this time I was also in charge of the high school weight room and the strength and conditioning programs used by all the sports teams. In 2004 I left Delta High School to take advantage of an opportunity to go into the family business with my Dad and Brother at B&B Electric, Inc. I still had a passion for coaching and strength & conditioning so I got my CSCS credential from the National Strength and Conditioning Association, and worked with the Mesa State Football Program as their Strength Coach for 2004 and 2005. It was in 2005 that I first heard of CrossFit and would dabble in one of their workouts every now and then as a way to change up my conditioning routine. I joined a box in the summer of 2009 and started my CrossFit journey. Since January 2012 I have been coaching Olympic Weightlifting, Strength & Conditioning classes, and CrossFit. I love the sport of CrossFit and what it does for people physically, mentally, and spiritually; regardless of their athletic or fitness background. I have lived in the Grand Valley for over 20 years. My parents, grandparents, and great grandparents were from the Valley. I started working for the City in 1992 as a firefighter. I started Crossfit about three years ago as a compromise with a friend. I thought I was fit because I ran five to six times a week. I also participated in team sports my entire life. I also thought I was athletic. Lets just say Crossfit humbled me. I left my ego at the door and it took a long time for me to start writing RX by my scores. I obtained my Level One to further my skills and I was introduced to an entire another level by Chan and Spealler . I never thought I would coach but slowly started to fill in from time to time. I have traveled to a lot of Crossfit gyms and I can honestly say that we have a great group of diverse coaches. Each brings a different experience and style to the classes. As for members, it is what makes each gym. Our members are amazing and I feel blessed for the friendships that I have made. I was first introduced to CrossFit in the winter of 2012. A friend of mine kept harassing me to give CrossFit a try. I finally gave in, took a class, and was immediately hooked. I have been very active my whole life, playing sports in high school and college, and was getting bored with working out. CrossFit has kept me active and excited about exercising. I love the CrossFit prescription “constantly varied, high intensity, functional movement.” Growing up, I always wanted to be a personal trainer or coach of some sort. I decided instead to pursue a degree is sport management and a master’s in business administration. Now, I finally have the opportunity to pursue this dream as a CrossFit coach! I find great joy in helping people and pushing them to grow to their full potential, both physically and mentally. To me, CrossFit is not just about getting a great work out in. It is so much more. With CrossFit, people are able to build relationships and camaraderie, as the CrossFit community is very welcoming and encouraging. Members are held accountable and are pushed to better themselves and those around them. 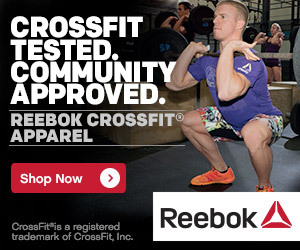 I am very excited to embark on this next journey in my life and glad to be a part of the CrossFit community! I grew up in the Grand Junction area, graduating from my moms Home School High in 1997. I knew early on that I wanted to pursue a career in law enforcement and have been employed with the City of Fruita Police Department since 2002. My wife introduced me to CrossFit in 2010 and after some initial apprehension I plunged in and haven’t looked back since! I earned my Level 1 Cert in 2012 and quickly followed that up with my CrossFit Kids Cert knowing that I had a passion to teach our next generation of CF gamers. I took over the CFJ CrossFit Kids and Teens classes earlier this year and have loved every minute of it! The majority of my free time is spent with my four kiddos; playing football, riding bikes, and teaching them how to be movie buffs! I started CrossFit in 2012 and was immediately hooked. I had been lifting weights for a very long time but this was an eye opening experience. I was drawn to the challenges of CrossFit and the family like environment at CFJ. Then I was introduced to Olympic Weightlifting and the game changed again. I enjoy seeing people improve their fitness and their strength through the Weightlifting program. sports, mostly soccer. I have run 3 Full Marathons and many other races from 5k’s to half marathons. For 14 years I worked for the airlines doing physical work; I suppose you can say I’ve always been active. I started CF in 2008 in my co-workers back yard in Utah. It consisted of a rower and a kettlebell. I fell in love with the sport the minute I tried it and saw what it did to improve my results in running. I moved back to my hometown of Grand Junction in 2013 and have been a part of CFJ ever since. I have done one Olympic Weightlifting Competition and many other Open- style CF competitions. I love to compete! I love that CF is never the same and most of all I love how CFJ has become a family to me. My passion in life is to help people become better physically and emotionally and I believe CF has what it takes to do both. I have 2 children who drive me to be a better mom, athlete and simply a better person every day.